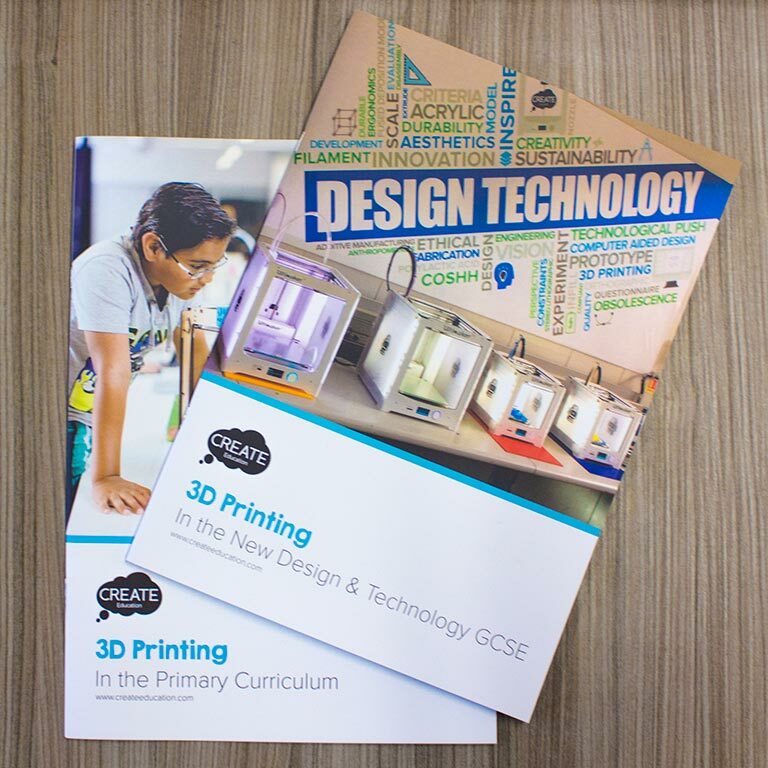 Dens Road Nursery in Dundee are one of the many schools that we work with to introduce 3D printing into the classroom. 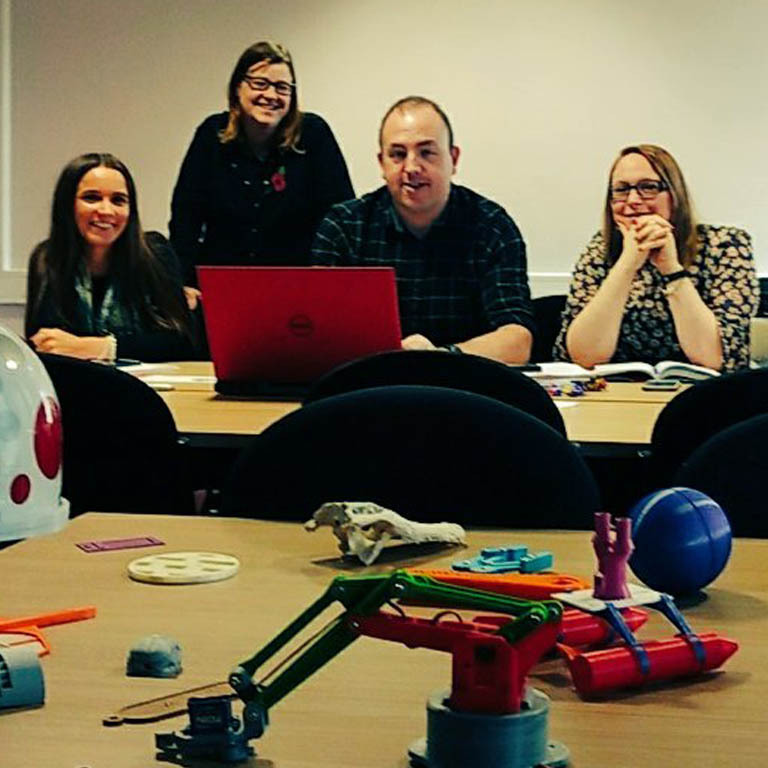 Dens Road decided to share their Playpark project with us and show you that 3D printing isn’t just for the professional maker! We believe these children and others around the world will be the makers of the future and seeing them engaged with 3D printing is an amazing experience! Following on from child led discussions with nursery pupils about the school, playground and surrounding environment an entry was submitted to the Dundee Food and Flower Festival. This entry was based on these initial discussions and the children investigating and learning how digital cameras worked as well as how they could record the world around them. They then saw how the pictures on their cameras could be connected to a computer and then printed. These images were subsequently cut out and used to create a display which won first place in their category. These young learners continued to be fascinated about their environment and so are currently taking part in a case study of 3D printer use in the early level and learning how 3D printing programs are used to create a diorama of their own vision for a playpark/ play area. Discuss the playpark, review pictures and display. Create a vision board of their ideas. 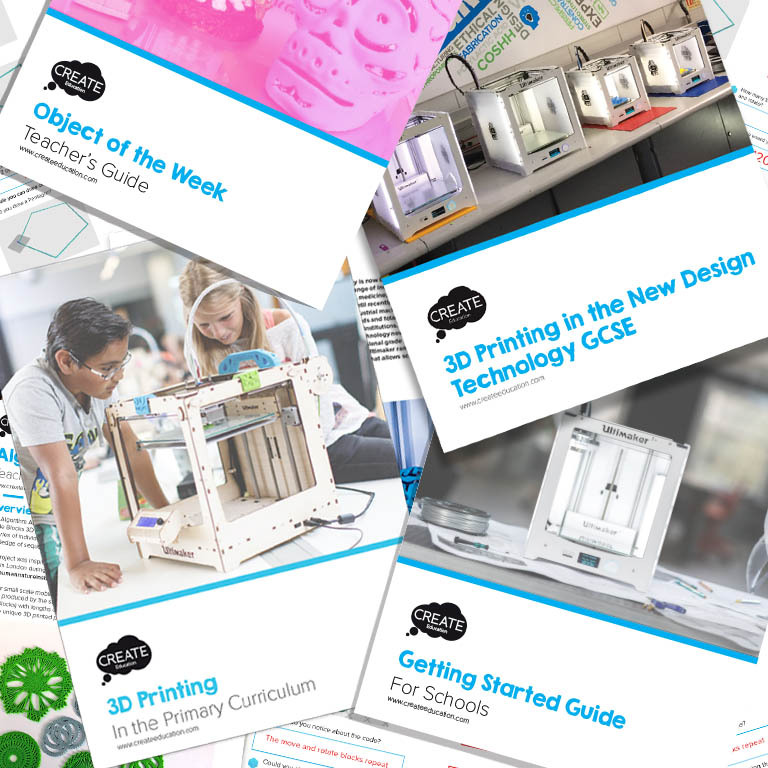 Investigate how a 3D printer works and compare it to a 2D printer to get ideas about how to create a diorama e.g. which printer is best suited to create the background display and which printer is going to create the physical objects needed to create the park. Design process 1 – using a range of materials and resources the children will initially draw or paint a part of the park they will design- this will be personalised for them and a visit to the local park(s) will enhance this activity and creativity. Design process 2 – using the painting or drawing created they will create a physical model (junk / playdough / duplo / wooden blocks) of the playpark object they want to print. There will be a key focus on the core shapes that the program (Tinkercad) uses. Design process 3 – the final stage of design will be discussion and teacher support to get the children to create their model virtually using the Tinkercad program. This will allow them to make the digital link between the analogue picture and model and how these transfer into the 3D digital printer. It will also enhance their digital skillset and fine motor skills. Finally, the nursery staff will transfer the saved files created by the pupils into the Ultimaker Cura software in the ICT suite. The children will then have the opportunity to watch their model being printed and take it down to add to the diorama. This project was easily matched with the interests of our pupils. After winning 1st prize at the Dundee Food and Flower Festival with a digital image of our local park the children had been fascinated by cameras and taking photos and keen to carry out tasks in using a range of different technologies such as digital cameras, Tuffcams, Flipcams, etc. We supported and extended this within the nursery by learning how to print our images. The children took the lead in their learning by creating their own photo albums from pictures they had taken using the camera. All of our pupils had been busy exploring a new program, J2E, which they used to create the background for the playpark and subsequently printed them in traditional 2D printing format. Due to the responsive nature of our learning environment, we began using Lego models as our pupils had been showing an interest. A clear advantage of using this style of model making was that it inadvertently supported and aided development in their designing and printing of the 3D models by giving them a physical concept to latch on to and support their understanding of how a 3D print is built. After training ourselves using the Tinkercad, Create Education and Ultimaker sites up we introduced the printer to the children, explaining the differences between the traditional printer we had recently been learning to use in nursery and the 3D printer. In order to introduce the printer using a physical context we began by introducing the children to the Ultimaker Robot. The children were fascinated by the robotic arm and eager to learn more. We watched some clips on You Tube to see the printer in action. As part of their initial discussion, our pupils decided that they would like to make a playpark for all of the little robots and we went back to explore our local park again. We began to talk about 2D shape and staff provided many play based activities around shape within the setting. We made collages, had shapes in the sand and water tray, stimulus at the art easel, shape cutters at the playdough table, explored shape in the maths area etc. 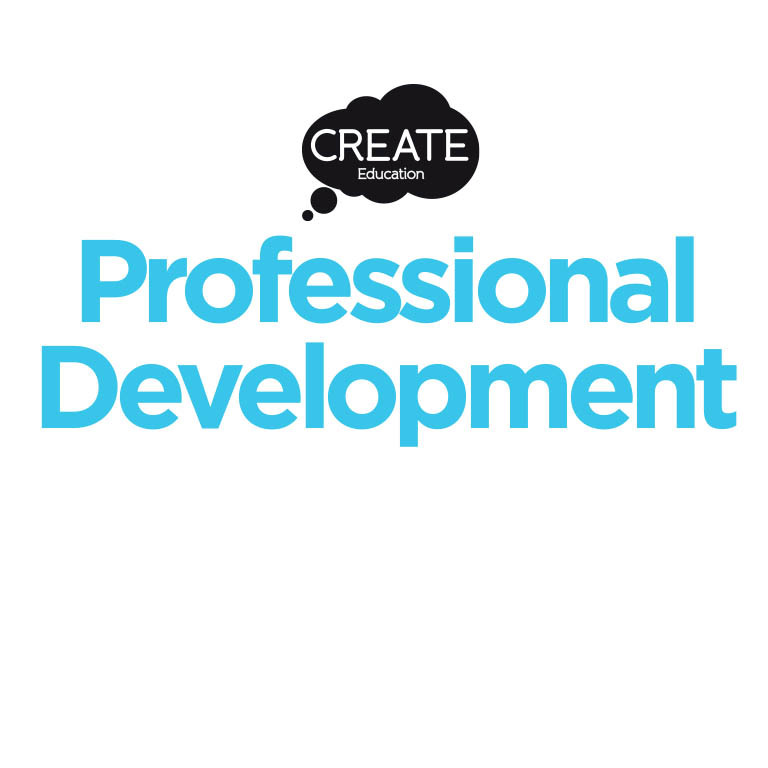 thus ensuring that there was a range of critical thinking opportunities occurring between staff and pupils as well as between pupils themselves. We identified this occurring alongside their shape knowledge developing when interacting, familiarising, recognising and identifying a range of 2D shapes within a range of environments. We felt that this was crucial as the software we would be using with the children focused on them collaboratively selecting and manipulating shapes therefore the more shape awareness and knowledge they had was essential. Once we felt confident that the children had a greater insight we then revisited the local park this time looking for shapes within the play equipment. The children quickly spotted circles, triangles and rectangles which combined to create the roundabout, swing and slide. We returned to nursery to share our findings with our peers. With adult support, the pupils loaded the pictures we had taken at the park onto interactive whiteboard and then independently drew over the shapes they could identify. We also discussed the shapes required to create various other objects e.g. after a visit to Dundee Science Centre and bonfire night we used shape to create rockets. This shows that the learning and thinking within this project really has been embedded across all learners within our nursery setting. The latter part of the project has required a lot of teacher input. We used software, called Tinkercad and Cura to create our play equipment and program the 3D printer. This was the most simplistic software out there at present but despite that it is still quite difficult for children of this age to use. They were confidently able to click and drag the objects with some managing to group however, when it came to positioning, creating depth and ensuring that things were lined up, assistance was definitely required. Due to the technical nature of this stage it was, at times, difficult to keep the children engaged as it was quite time consuming and not everyone could participate. Regardless, our pupils knew exactly what they wanted to build and the shapes they needed in order to do this. This demonstrates their knowledge and understanding of the whole process and from the minute the printer started they were amazed! We have now printed our park and even managed to use some of our mishaps as all part of the learning process. These planned and unplanned creations promoted lots of addition discussion which felt benefited literacy and numeracy skills as well as their technology based ones. Throughout the entire process we have tweeted the companies involved to show our progress and had great feedback from them and others. We have created a floor book to allow the children to revisit and discuss their learning with others at their leisure. It has been really amazing to see what the children have learned at just aged 3 and 4 years old could do (with some 2 year olds too)!! We have all learned as a team – staff included! Although the final stage was a bit tricky, the whole process encompasses so many different skills including (but not exclusively) –all the higher order thinking skills, trial and error, problem solving, team work. We chose to investigate shape in the form of creating a play park but this could be used to support any topic covered in early years. A big thank you to Dens Road Nursery for sharing this project with us!